Experimental musicians Psychic TV have produced innovative and provocative work for over three decades, blending elements of psychedelia and dance with industrial sounds. In 2013, Psychic TV invited a diverse group of filmmakers to be part of a collectively created video work. The result was DREAMS LESS SWEET, a 75-minute film designed to accompany and commemorate the 1983 Psychic TV album of the same name. 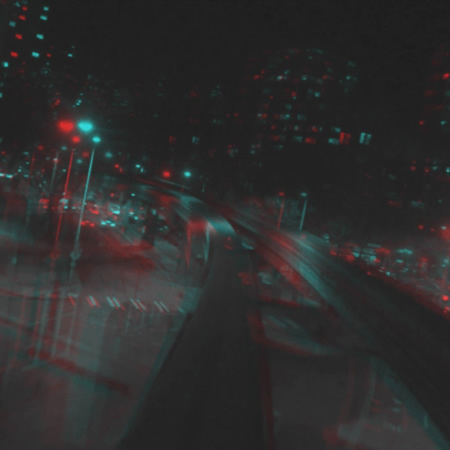 The film includes a 3D sequence produced by Maximus Clarke. 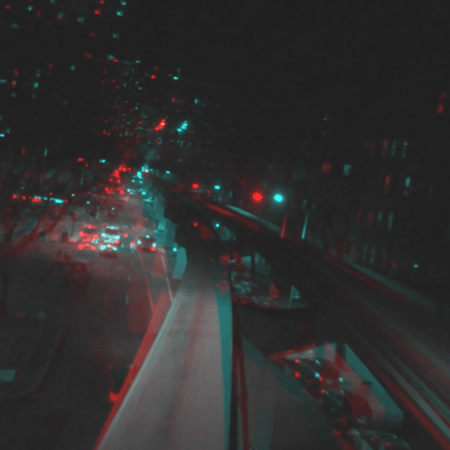 Clarke’s segment features stereoscopic video footage, which he captured with a dual-camera rig during a shadowy nocturnal journey on the Seattle monorail system. 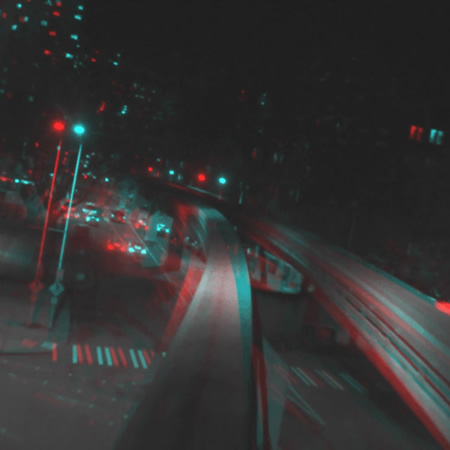 For this film, the footage was composited and rendered in the anaglyph format. 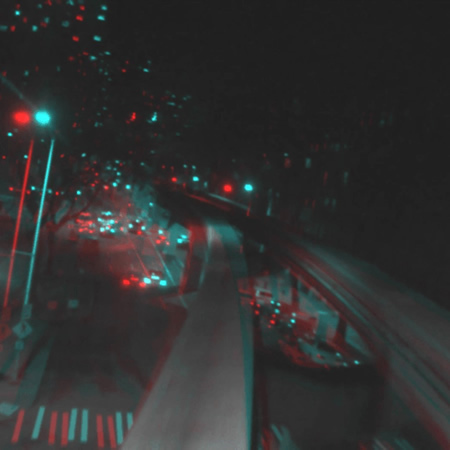 It can be viewed in 3D with red/cyan glasses. DREAMS LESS SWEET had its premiere at the Warhol Museum in Pittsburgh, in the summer of 2013. Since then, the film has been screened at numerous venues, including the 20th annual Chicago Underground Film Festival, the limited-run Monkey Town Denver screening series, Brooklyn’s BAM Rose Cinemas, and thePICTUREshow in Greenpoint, Brooklyn.